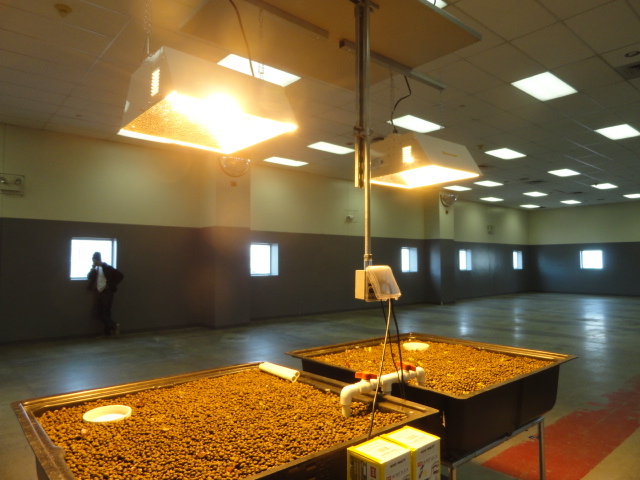 In early 2012 Colorado Aquaponics and the Denver County Jail began working together to explore the opportunity of commercial scale aquaponics within the penal system. The benefits of this unique project are seemingly endless and bountiful including; growing a portion of the prison's food needs on site, utilization of inmate labor to construct and maintain the system which leads to education and job training skills, rehabilitative work that emphasizes care for living organisms, and so on. Our initial role involved a great deal of site planning and an economic feasibility analysis. 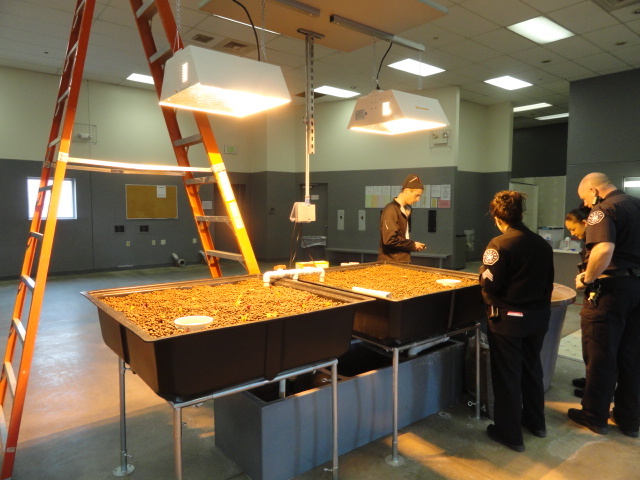 The 7,200 square foot available space was formerly a dormitory building and the intention of the Sheriff’s office was to repurpose it into an aquaponic food production facility. The first half of the study looked closely at the impact that growing fish and produce would have on the building envelope, HVAC systems and overall energy demand. Running grow lights for example, would require a tremendous capital outlay for both the lighting equipment and required electrical service panel upgrades. In addition to significant ongoing operating and replacement costs, the lighting systems would also add a tremendous impact on the building’s existing mechanical systems with the addition of several hundred thousand BTU’s. While the concept of repurposing a building is often compelling, it’s not always practical. Using financial and production models based on data collection from years of experience operating our aquaponic farm as well as existing industry research and expertise, we estimated that the aquaponic system would produce on average 600 lbs of edible fish per month and 280 cases (24ct) of lettuce greens from the deep water culture system. The county jail system currently purchases and consumes over 250 cases of head and romaine lettuce each month so the system would be able to cover the demand. Breakeven cost and sensitivity analysis determined that it would be less expensive for the jail to grow and supply their own lettuce than it would be to purchase it from wholesale suppliers. In addition to the financial savings, there would be additional carbon reductions through the elimination of food transportation miles and packaging. As with many large projects, it is usually best to start small. 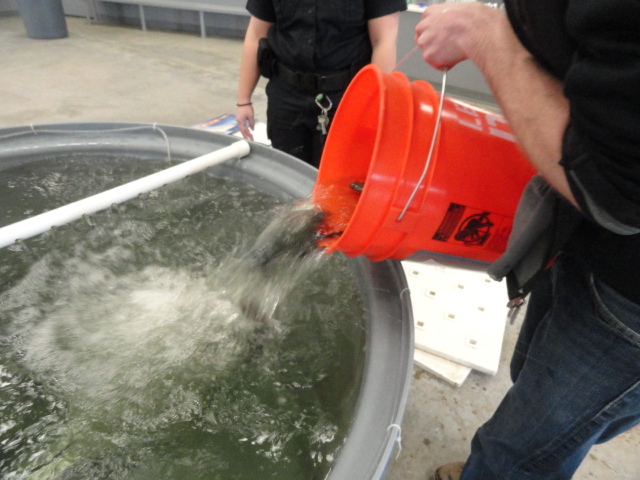 This past winter the Colorado Aquaponics team installed a small media based flood and drain system for the county jail. Since the initial installation we have been working with a few of the deputies on how to cycle and maintain an aquaponics system. Water cycling is an imperative part of system start-up; the process of establishing a colony of nitrifying bacteria that convert fish waste into usable plant nutrients. 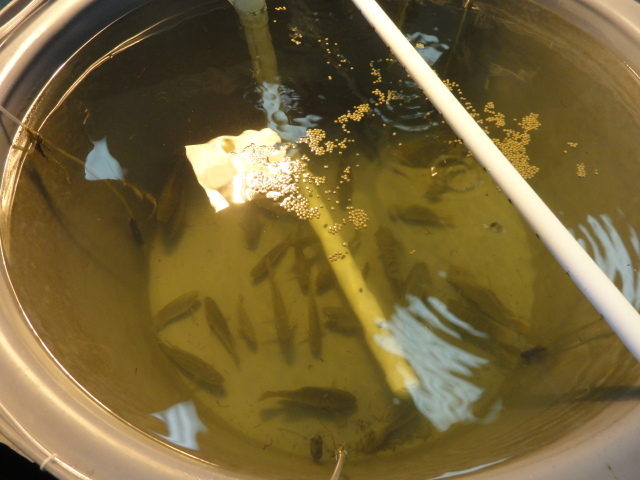 With the nitrification cycle and pH stabilization now complete, this small scale system is now growing out 40 Rocky Mountain White Tilapia and a variety of greens and fruiting plants. Everyone around the jail is extremely excited and are constantly prodding Deputy Pablo about when they get to bring in their fishing gear! 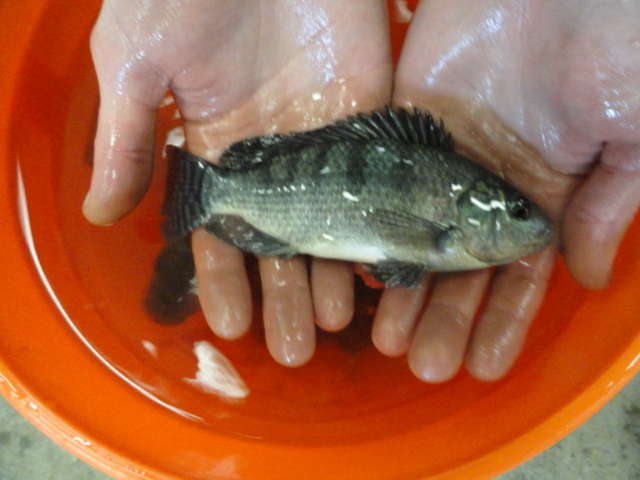 While the Deputies continue to manage the aquaponic system, Colorado Aquaponics is working with CU Denver's Biology Department in developing an aquaponics based curriculum. This curriculum would include sections on biology, math, economics, food safety, water chemistry, fish husbandry, botany, pest management, operations, and many more topics that add to professional development and specialized skill building. The curriculum will be used to educate inmates on how to run the system themselves and could be used across other correctional facilities. We are thrilled about the momentum behind this collaboration with the Denver County Jail System. After demonstrating the success of the small system, we hope to move forward with designing and constructing the large scale system design from the feasibility study. Providing educational opportunities, green job training, and sustainable food production is something that everyone is able to get behind, and we believe that aquaponics provides a platform for developing these much needed skills and resources. There’s a need and opportunity for our nation's’ prisons to shift from incarceration towards rehabilitation, and The Denver County Jail has demonstrated that they’re interested in considering innovative and progressive approaches to solving these issues. We look forward to seeing this project become a model for sustainable food production within penal systems across the country. Colorado Aquaponics is a Denver-based small business that focuses on providing fresh, sustainably produced food to our local communities. We believe that fresh food fosters healthier communities. As a business, Colorado Aquaponics strives to create and demonstrate that aquaponics can be environmentally, socially and financially sustainable. We look forward to contributing to both local and global food solutions.